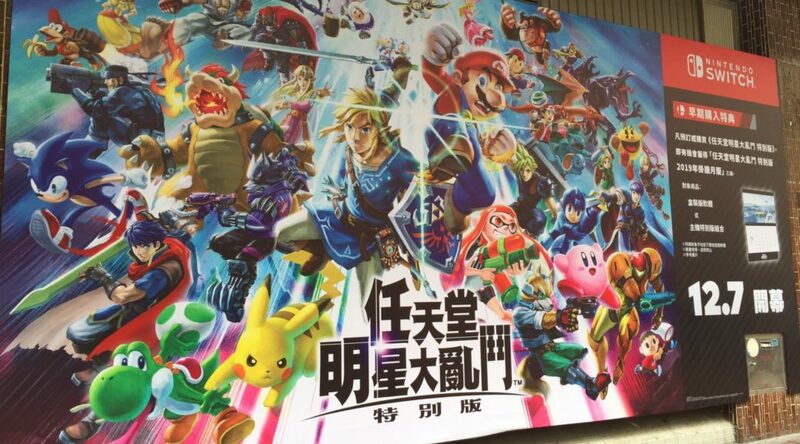 Nintendo Hong Kong has put up a very large billboard to promote Super Smash Bros. Ultimate in Hong Kong. 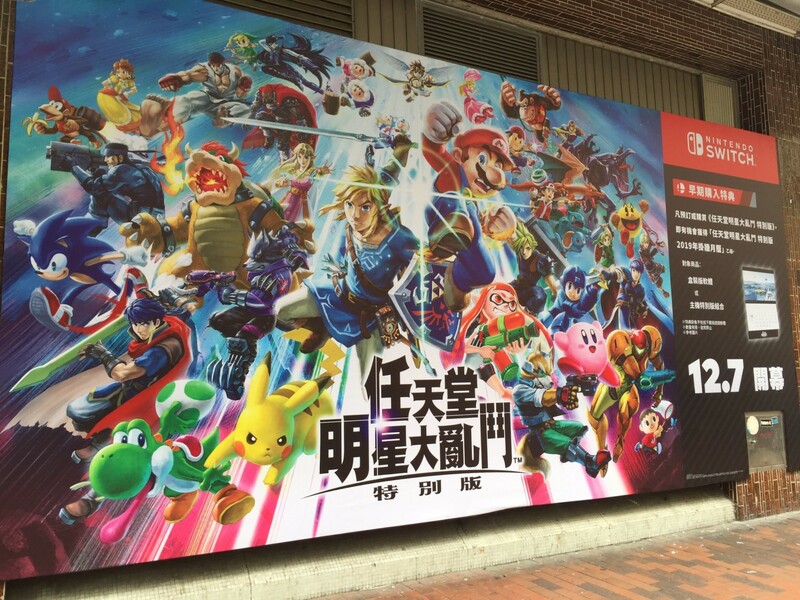 The billboard features the official Super Smash Bros. Ultimate artwork and 2019 calendar pre-order bonus. Also spotted a few months ago was a Mario Tennis Aces billboard in Hong Kong.